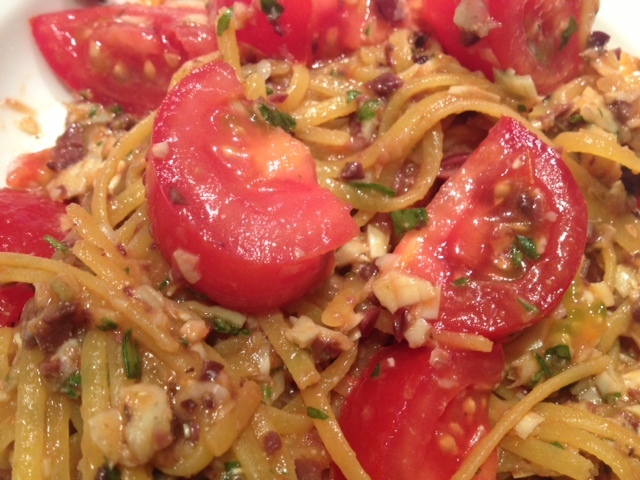 Quinoa Spaghetti With Kalamata Olives, Artichokes, Garlic, Basil & Tomatoes. 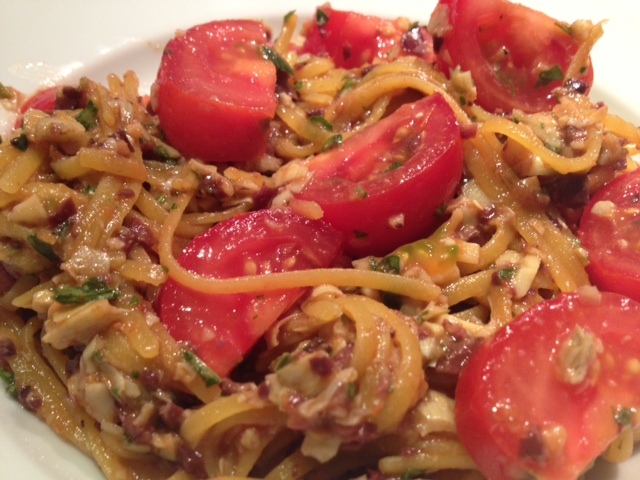 Spaghetti alla puttanesca (which translates to whore’s spaghetti) is a southern Italian dish that is typically made with garlic, capers, tomatoes, olives and anchovies. 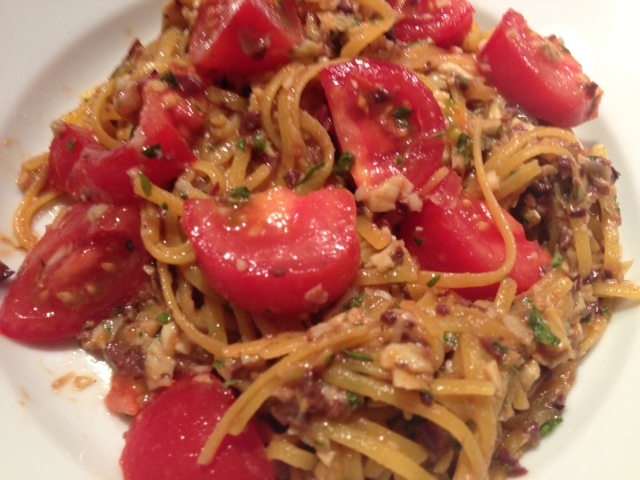 This is gluten-free version that I made using quinoa spaghetti, omitting the anchovies and capers, and adding in artichokes and basil. 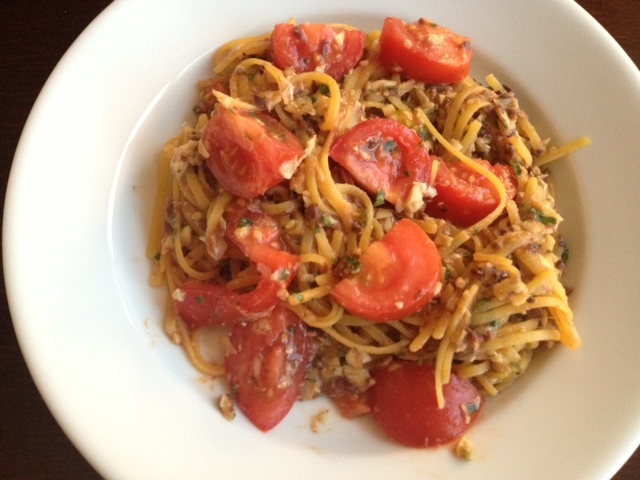 This is a great summertime pasta filled with light and bright flavors. 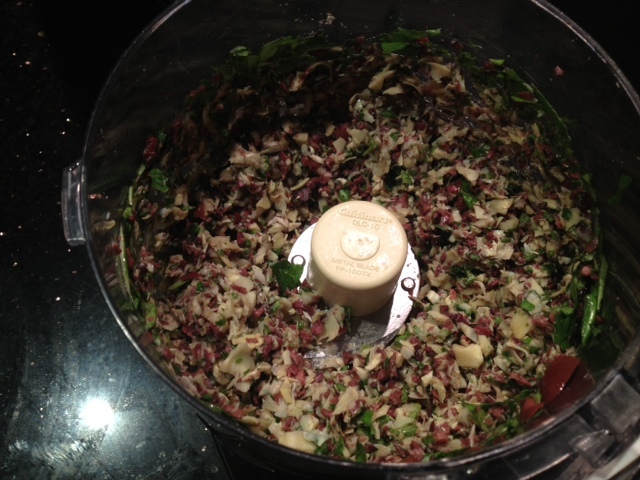 Put the artichokes, olives, basil and garlic into the food processor and pulse 3 times to do a rough chop. Boil the pasta as directed on the package. Drain all excess water and the pasta back into the pot. 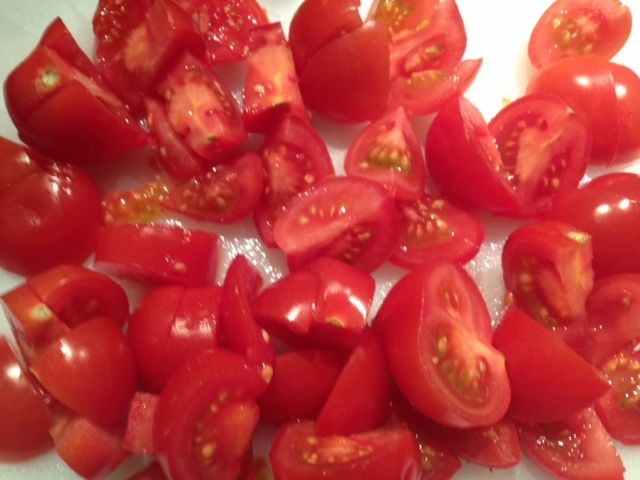 Stir in 1 tbsp olive oil and then add in the tomato sauce, the chopped ingredients and a dash of garlic salt/black pepper. 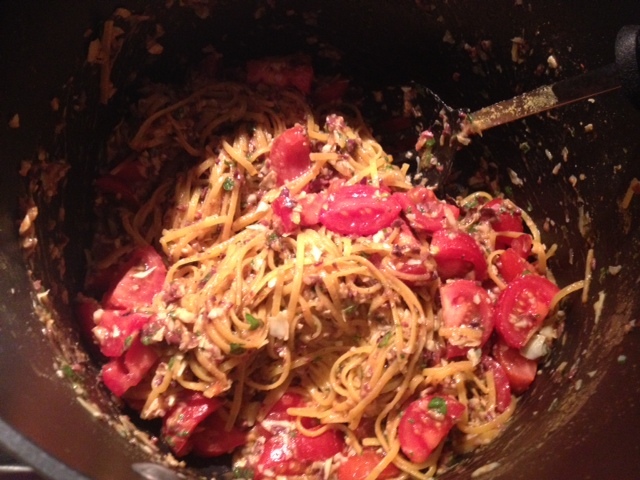 Stir well to combine the ingredients and then toss in the fresh tomatoes. ← My New Favorite Salad.